The 12 albums which have been shortlisted for the Mercury Prize have been announced and of course the bookies are offering fantastic odds on who will win the sought after prize. Favourite is Alt-J with debut album ‘An Awesome Wave’, he has odds of 5/6 and with some fantastic songs such as Matilda and Breezeblocks he would be a deserving winner. Three albums are tied at second favourite with odds of 6/1. They are: Richard Hawley with ‘Standing At The Sky’s Edge’, East Londoner Plan B with ‘Ill Manors’, and Django Django, the four piece band who met at Edinburgh College of Art with their self-titled debut album ‘Django Django’. Next is South Londoner Jessie Ware with her album Devotion and odds of 8/1, followed by Ben Howard with ‘Every Kingdom’ and odds of 9/1. 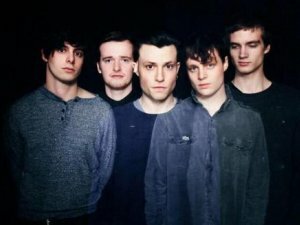 The Maccabees from Brighton have odds of 12/1 for their album Given To The World and Michael Kiwanuka has odds of 16/1 for Home Again. The final four are Field Music for Plumb with odds of 20/1, Sam Lee with odds of 25/1 for Ground Of Its Own, Lianne La Havas also with odds of 25/1 for Is Your Love Big Enough.